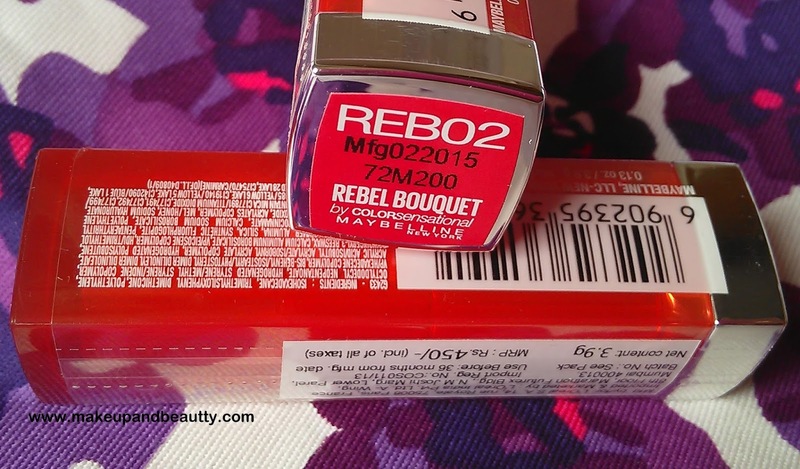 Okay, I could not wait anymore to keep you all waiting for the review of the newly launched Maybelline Color Sensational Rebel Bouquet Lipsticks that I just got few days back. 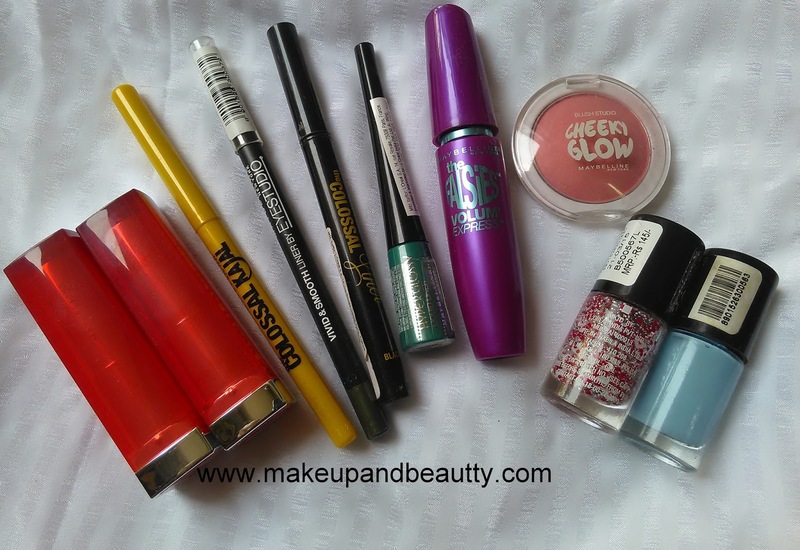 As I already show you in my previous post that I got few Maybelline goodies that was send by the brand itself for review purpose here. 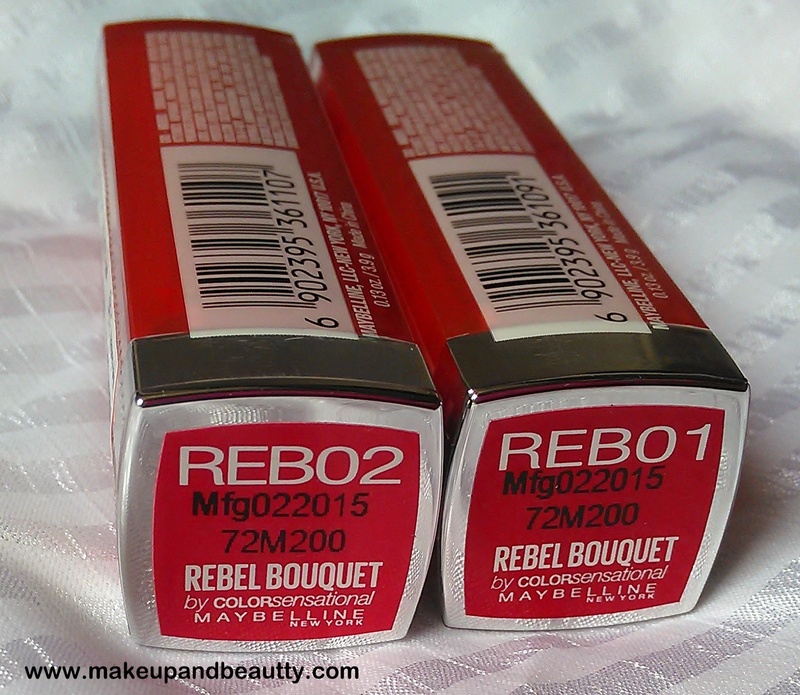 Among them I got two beautiful Rebel Bouquet Lipsticks in shade 1 and 2. 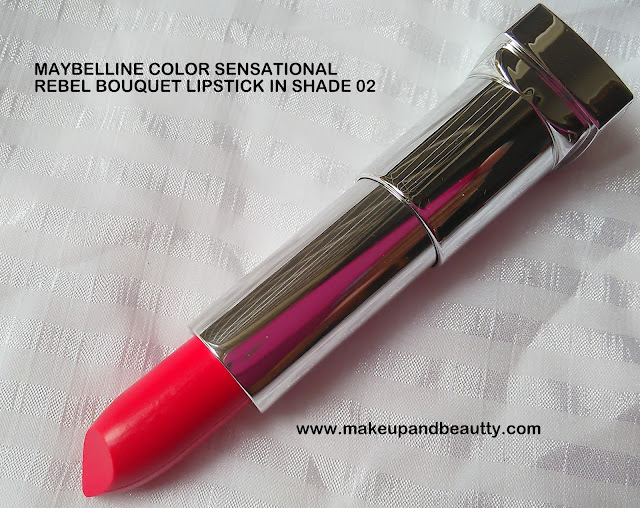 Maybelline is the most affordable brand that have some really good quality product. I always found this brand as a pocket friendly brand as most of their products are so affordable that it don’t pinch your pocket and at the same time gives you that same quality that you are looking for in high end brands. In other word Maybelline has shown that how a brand still can maintain its quality by keeping it price low while most of the other brands insanely hiking their prices with every newly launched products. 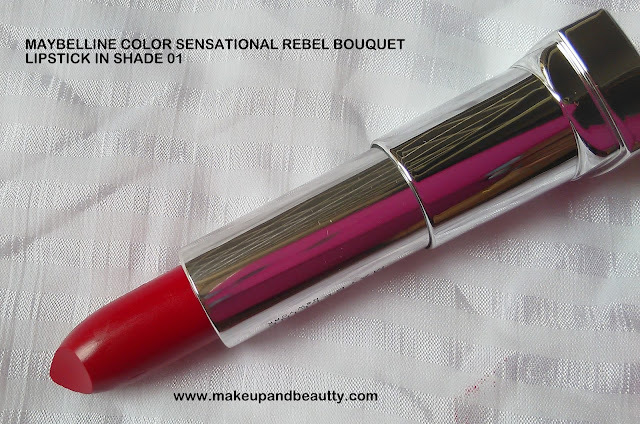 The Color Sensational Rebel Bouquet Lipsticks are bold and rebellious pastels that consist of the trendiest shades of this Spring Summer. Both the lipstick comes in a beautiful orange cap and silver case. 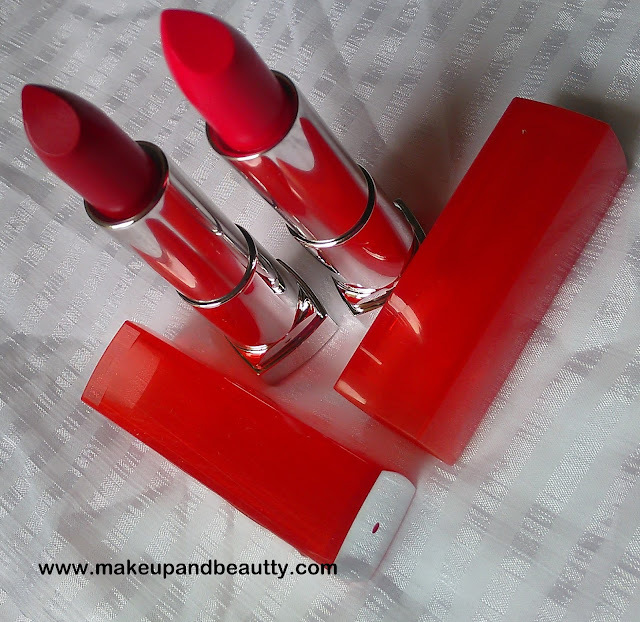 The lipsticks are really bright shades. The texture are creamy so it easily glides on my lips. It need to line the lips properly else it might bleed in summer. 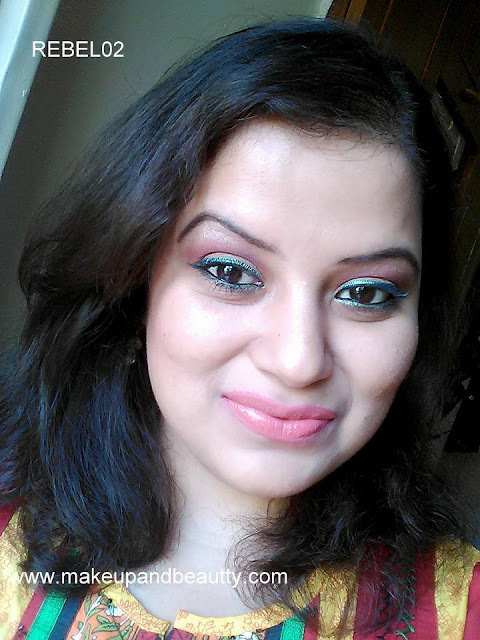 But the dry heat of Delhi makes my lips so dry that I tried out the lipstick without lip liner on it and it settles really well without any kind of bleeding. 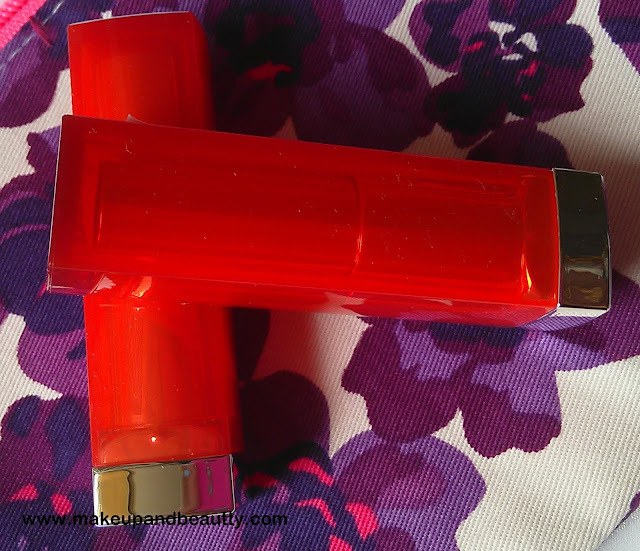 The creamy texture of lipsticks keeps my lips hydrates for hours and I don’t feel dry. It is a light weight texture lipstick that won’t make up feel uneasy on lips. 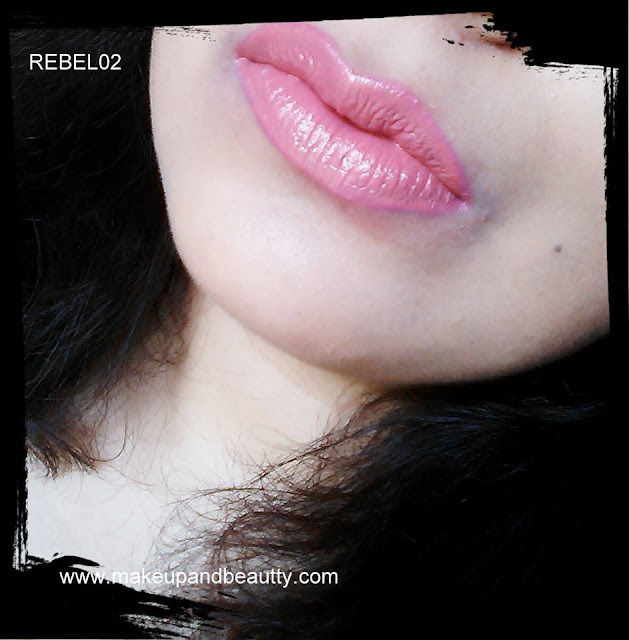 But I will suggest that proper exfoliation of lips is needed before applying the lipstick otherwise it will look patchy on lips. 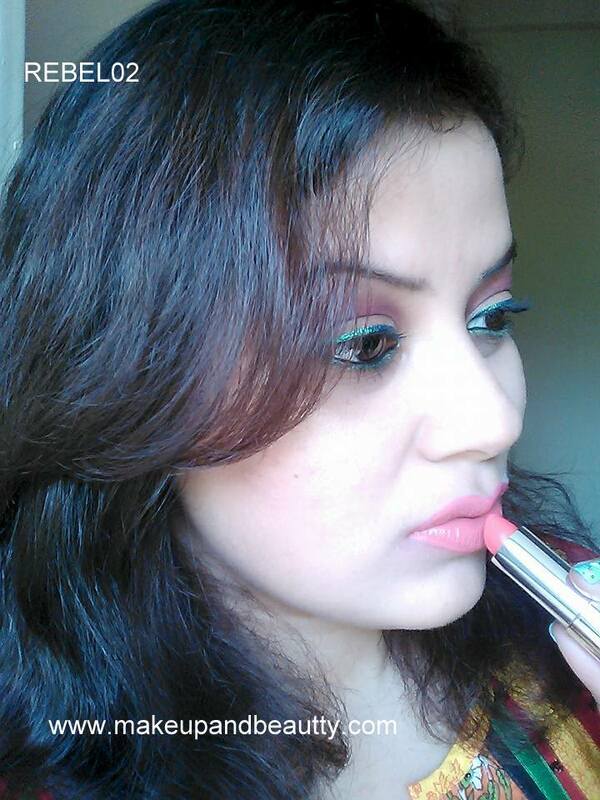 The lipstick stays full 3-4 hours with slight fading after meal. 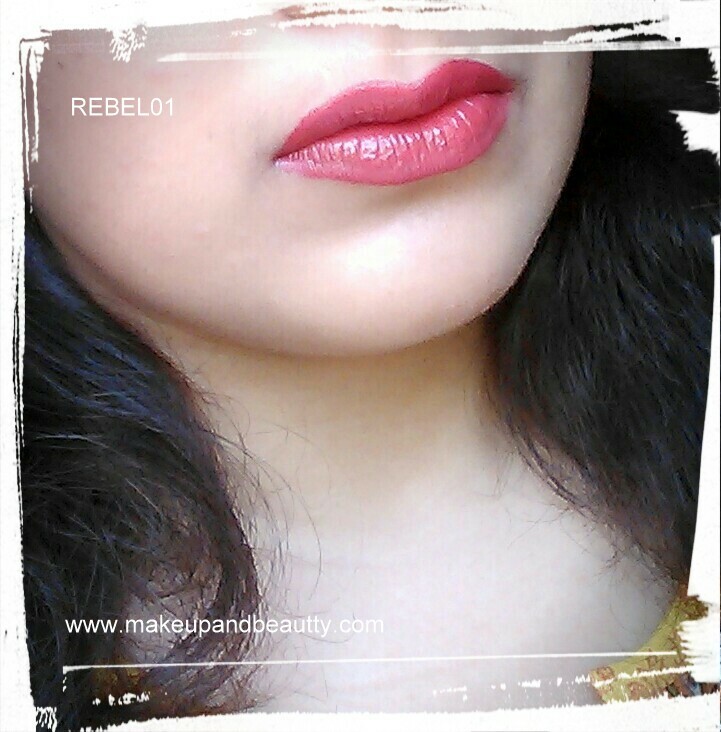 The shade REBEL01 is a beautiful red lipstick. Very pigmented. Two swipe is enough to get the opaque coverage. 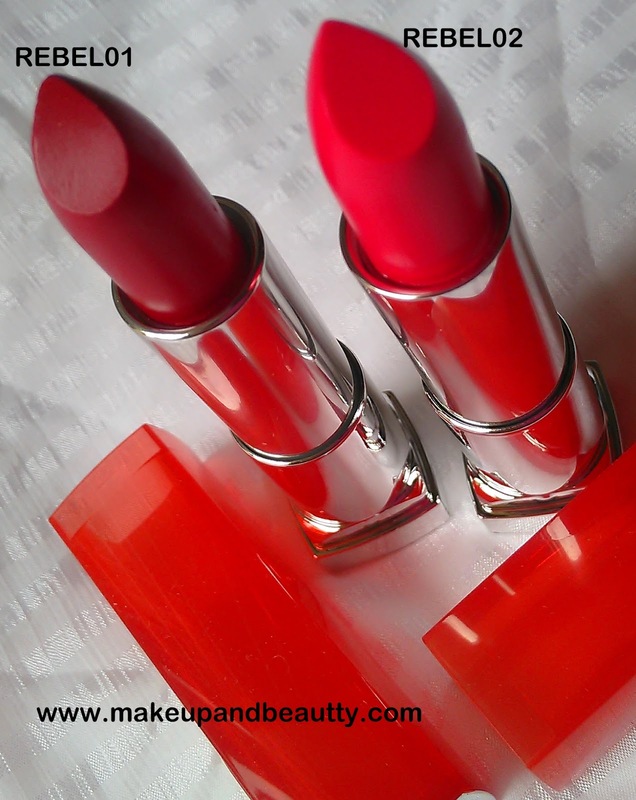 The shade is a yellow undertone red that will suits most of the skin tone beauties. 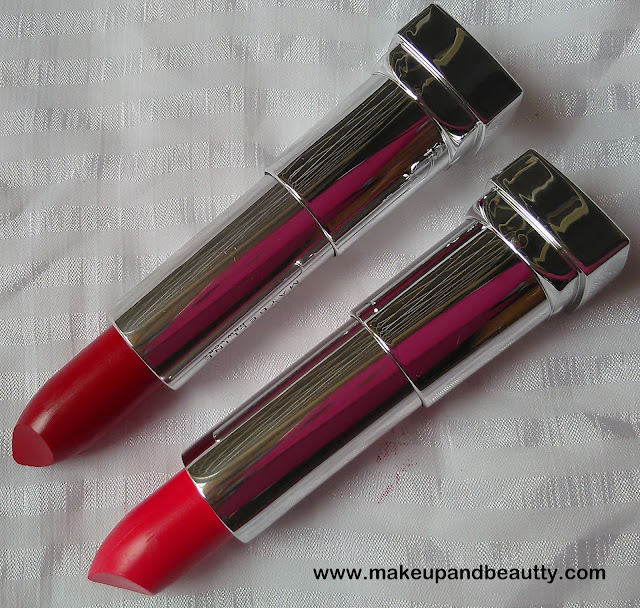 The lipstick just brighten up my face and the shade is just perfect for any party or night out timing. The shade REBEL02 is a beautiful coral undertone pink on my skin tone. 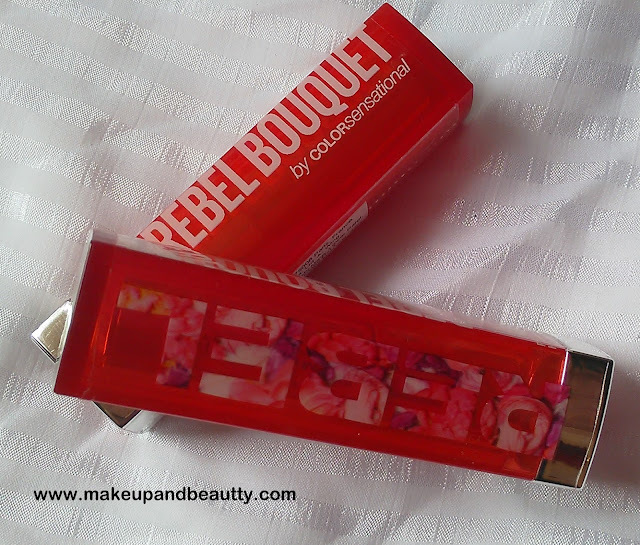 I think this shade will suit mostly to the fair skin beauties as it is a bright pink that might look little neon in medium to dusky skin beauties. 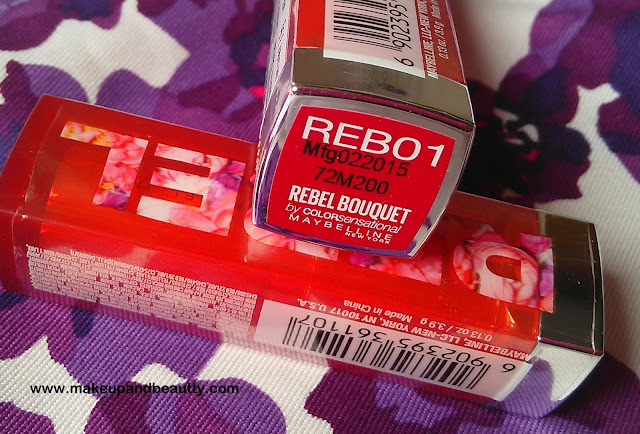 The lipstick is my favorite one as it will go well with my Smokey eye look. It is just perfect shade for my day time. 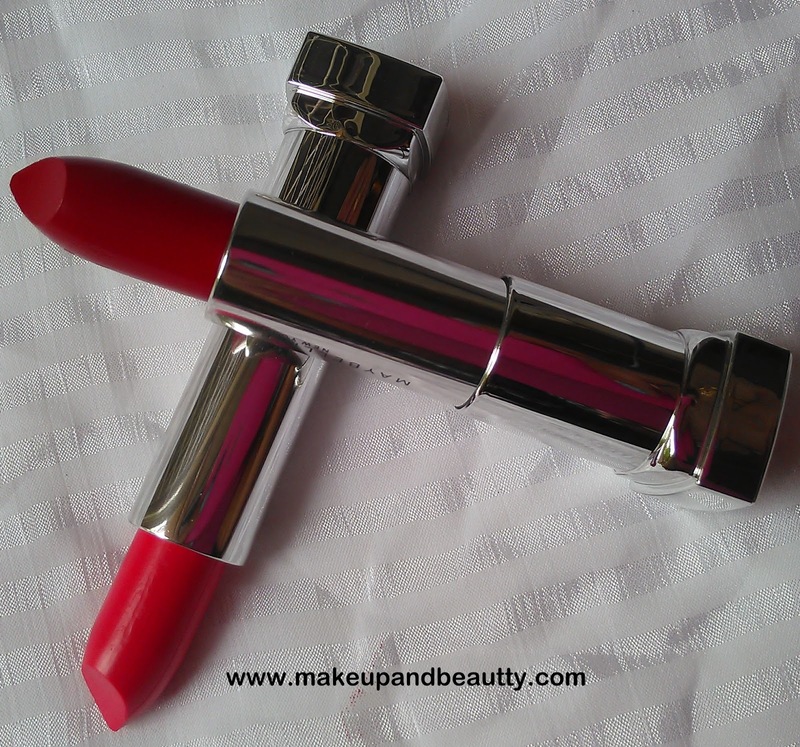 The lipstick is medium pigmented. It need 3 swipes to get the opaque coverage. It stays pretty 3-4 hours with slight fading after meal. 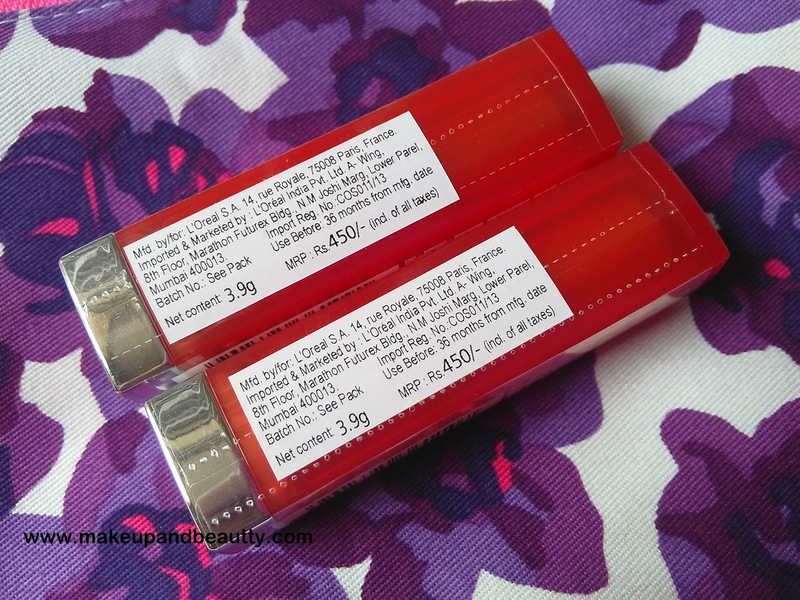 Both the lipstick are not transparent proof so it might leave history of your lips here and there… ;) but at this price the lipstick is just perfect to grab. 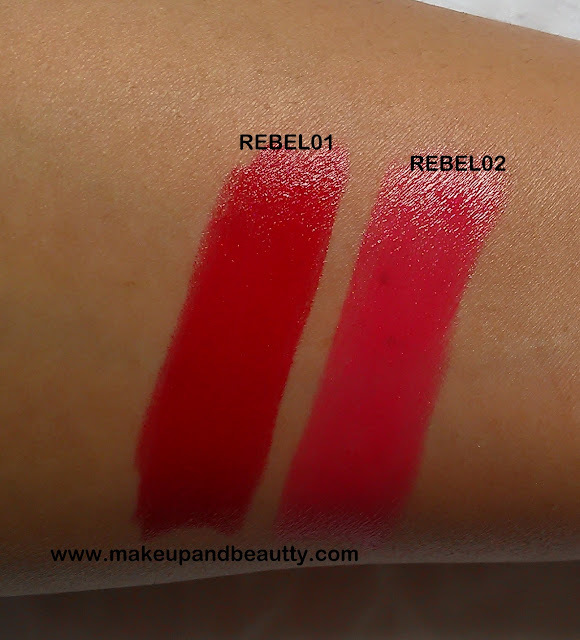 Here are the swatches of the both lipsticks. And finally as I told earlier…yes here is my look using the two beautiful pretty lipstick REBEL01 and REBEL02 along with my all Maybelline stuff. Random champagne, white gold and pink eyeshadows. 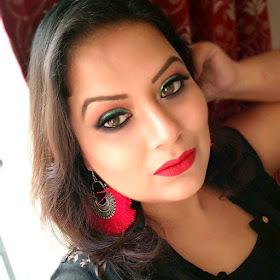 Maybelline colossal Kajal in black for lower lashline. 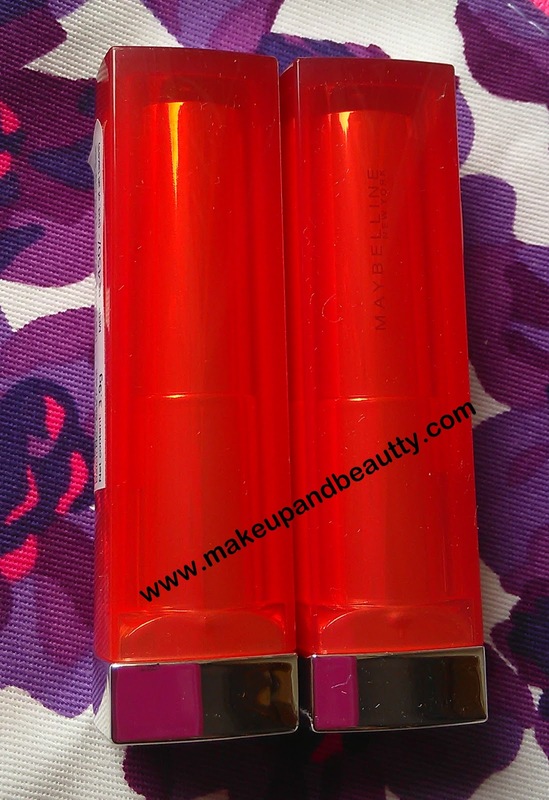 Maybelline the falsies volume express Mascara. Foundation, pressed powder and Maybelline blush in peachy sweetie. My Verdict:- Well, Maybelline rebel Bouquet lipsticks are really pigmented, creamy and affordable lipsticks that comes up in six beautiful shades that are just perfect for spring summer…so if you didn’t grab anyone of these till now I think it’s time you should head over to the counter to try out these pretties. So, that’s all for today. I hope you like my post. 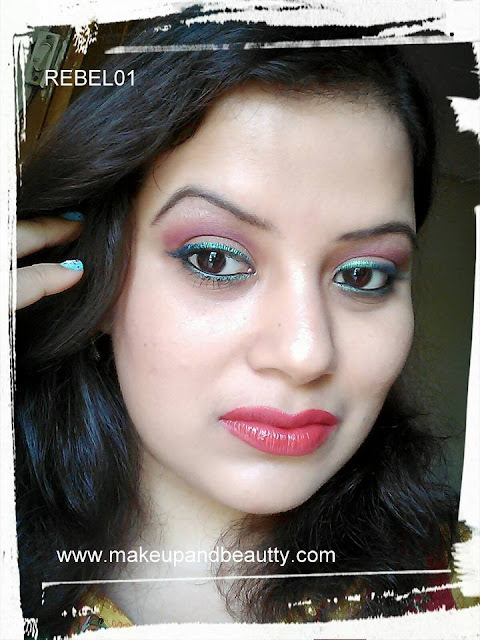 Just comment below whatever you feel about this post and do share which look you like most? 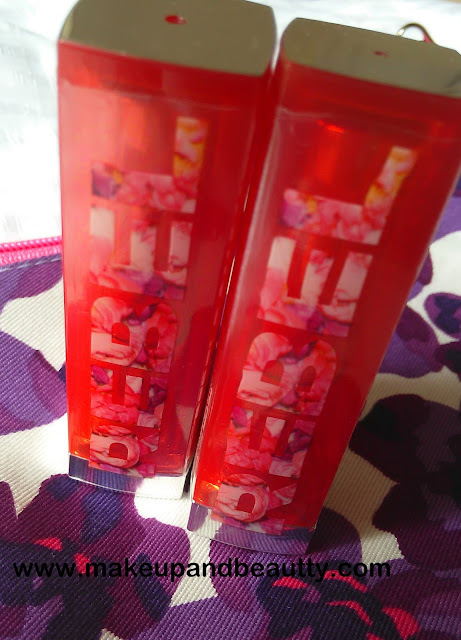 Did you grab any of the lipstick yet? Which one? Share that too in the comment below. Wow...what a pretty shades n lovely lip swatches.. I thought both the shades are red as the Reb 2 appear reddish on your hands but look pink on your lips. Both the shades are pretty. And nice makeup look. 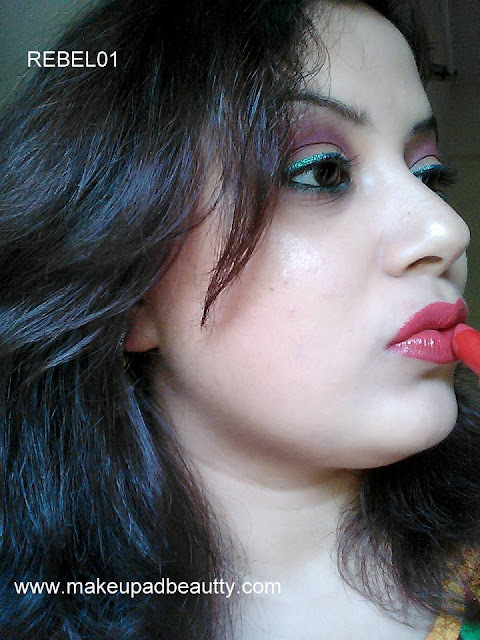 both the shade looks gorgeous on u!